Experience thousands years of history; from the earliest settlements through the time of the great empires of Alexander the Great and Tamerlane. Our private guides will help you explore the remains of palaces, fortresses and monuments from by-gone eras; the bazaars, caravanserais, blue cupolas, soaring minarets, lace-like ornamentation and brilliant ceramics of medieval mausoleums and mosques of Uzbekistan. 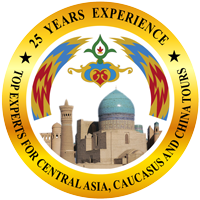 As you travel the routes of history steep yourself in the rich culture of Central Asia and the warmest hospitality in the world. The best of accommodation, signature experiences and tempting cuisine are included in your custom itinerary for the ancient cites of Tashkent, Khiva, Samarkand and Bukhara. These are the lands of the Great Silk Road – of desert caravans and oases, fearless horsemen on windswept steppes and lush verdant valleys in pristine alpine peaks. 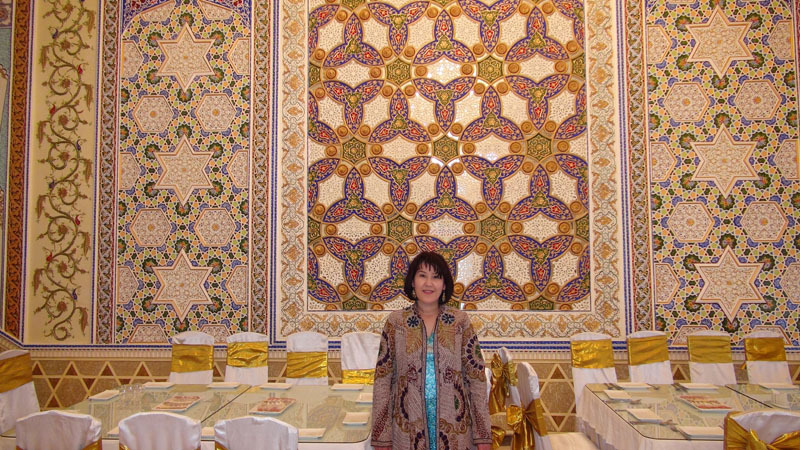 Silk Road Treasure Tours offers you the luxury trip of a lifetime in Uzbekistan! Arrival at Tashkent International Airport. You will be met by your personal guide and driver and transfer to your hotel. Tashkent is the cultural and economic center of Uzbekistan. It glitters in the sunshine and lights up at night. One of the oldest cities on the Silk Road, much of it was rebuilt after a devastating earthquake in 1966, allowing for wide boulevards, classic examples of Soviet architecture, show-stopping fountains, and fabulous green and public spaces like the Alisher Navoi Park. Even the stations of the metro are works of art in themselves. There is still enough of the old city left or reconstructed to indulge in exploring its ancient heritage. On our visit today we'll see the Khasret Imam, a 16th century square surrounded by gems of Islamic architecture, and the Sheik Tellya Mosque which displays one of the oldest Korans in the world. At the center of the old town is the blue dome of the Chorsu Bazaar, famous for the variety of unique handicrafts available there, the colorful displays of spices, nuts, and dried fruits, the mountains of bread and cascades of fruits and vegetables. It's just as busy today as it was when it was the crossroads of the Silk Road route from China to Iran! We will finish at Independence Square, heart of the city and pride of this vibrant and modern capital. 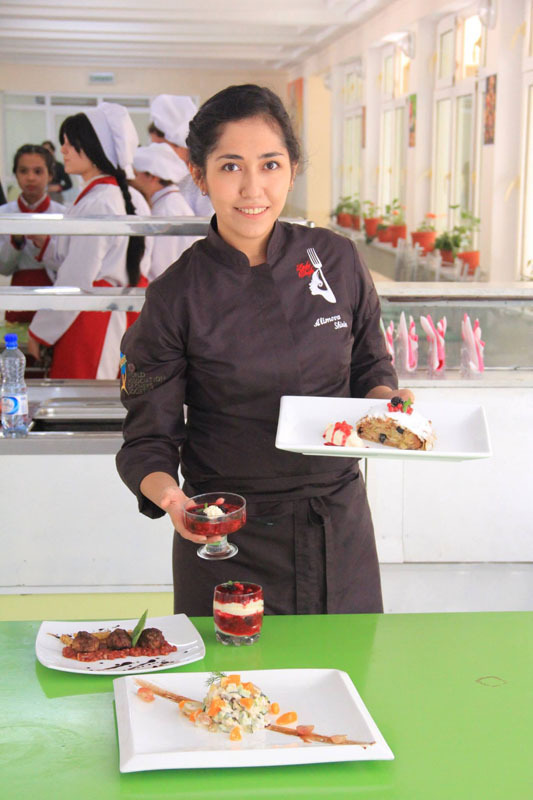 Accommodation will be at the 4-Star Lotte Tashkent Palace or the 5-Star Hyatt Regency Hotel. 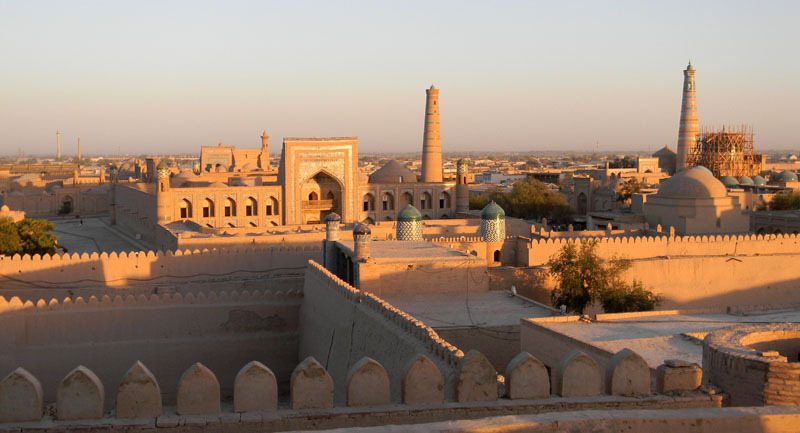 The city of Khiva is living history; thousands of years of civilization rising from the desert with its unique fortifications, monuments, and the remains of palaces, harems and caravansaries to explore. Much of it restored by the Soviets, there are no vehicles here and its a true paradise for photographers and shoppers alike. Once ruled by the Khan's iron fist, it was also a haven for pirates and slave traders. We'll see the old Ichan–Kala or Inner City where original fortifications have survived intact since the 16th century and incorporated into later additions from the 18th and 19th century. Embellishing the sand-colored bricks of the city are the jade tiles of the Tash Khauli Stone Palace, the turquoise domes of the serene Friday mosque, and the jigsaw puzzle-like geometry of tile work on the short, squat Kalta Minor minaret. The Juma Mosque is unique in the Islamic world for its low flat ceiling supported by over 200 intricately hand-carved pillars. Lit only by skylight its a peaceful oasis in the city. 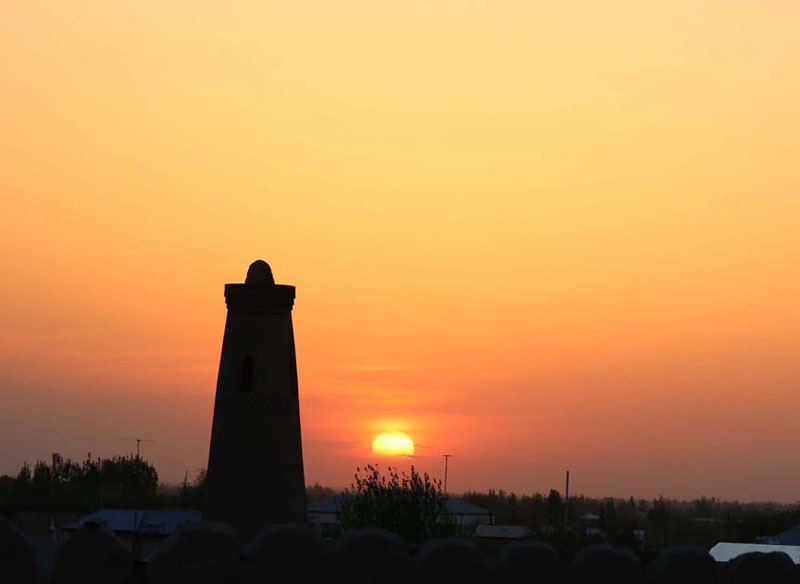 In Khiva the setting sun glows pink on the ancient adobe walls, and talented chefs here will create a menu for dinner by moonlight. Bukhara, once the intellectual center of the Islamic world can trace its origins to the 6th century BCE. Follow tradition here and relax on a divan, sip your green tea and enjoy the social life at one of the many chaikhanas in the city. Under the shady mulberry trees which surround the reflecting pool at the Lyabi Khaus complex, the traditional heart of the city, tea and gossip reign, artisans sell their handicrafts and at night the colored lights give a festive air to the local dance troupe. Beside the Lyabi Khaus pool is the largest Koranic school in Central Asia, the medieval Kulkeldash Medresseh. The Kalyan Minaret, part of the Poi-Kalyon complex dates back to 1127, a fitting symbol of old Bukhara. When Genghis Khan invaded he left only the minaret standing, legend says that he was struck by its beauty. The city's subdued desert hues lend centuries-old buildings their own exotic air in Uzbekistan's holy city. The Fortress Ark defended its rulers and their servants over the centuries while some sixty caravanserais could be found within the city for traders and travelers. Try on traditional outfits at the national costume exhibit in the former merchant's house of Fayzullo Khokjaev. Wind your way through the 17th century trade domes of the money changers, hat, jewelry and puppet sellers, as well as carpet and embroidery merchants. Visit the Magoki Attari, originally a Zoroastrian temple and the oldest surviving mosque in Central Asia which now hosts a carpet museum displaying examples of the distinctive colors and patterns of the region. 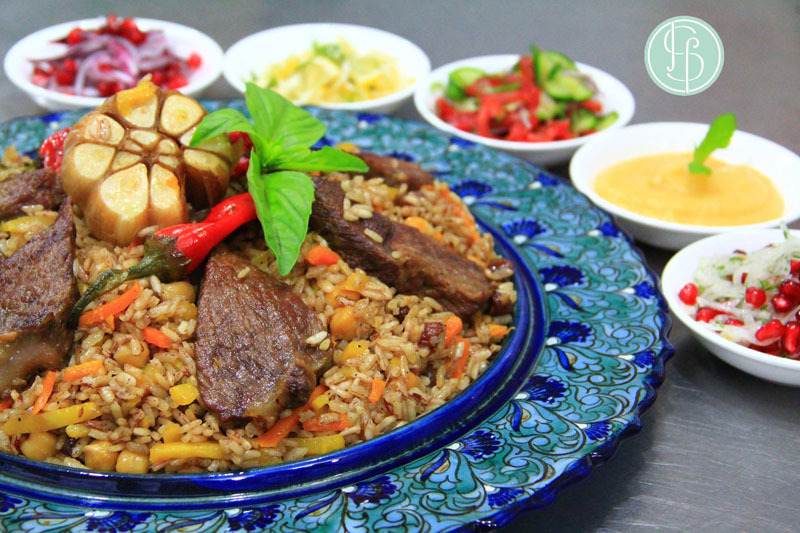 Tonight we'll enjoy dinner with a folklore show at the Nadir Divan Begi Khanaka. Originally designed as a caravanserai in the 1600's it was then hastily converted to a medresseh to cover for an Imam's mistake! 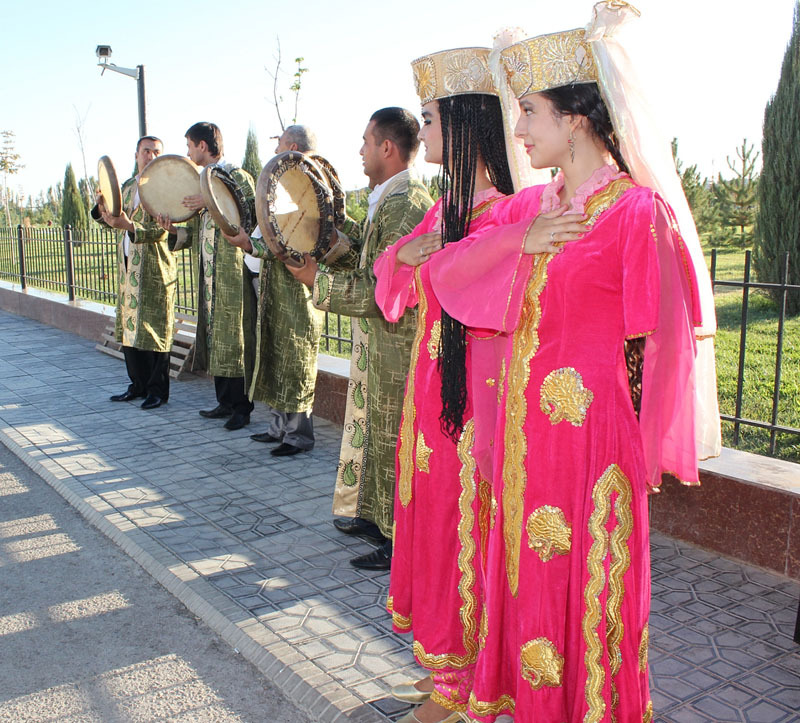 The show tonight features local dancers and singers and a fashion show displaying gorgeous costumes handcrafted by Uzbek designers well-known for incorporating the country's rich fabrics and intricate designs. The Tales of 1001 Nights are never complete without a palace. Today the magnificent summer residence of last Emirs of Bukhara, the Sitorai Mohi-Khossa - Palace of the Moon and Stars will provide the setting. A blend of European and Oriental architecture and decor, the palace makes lavish use of mirrors and incorporates a myriad of reception rooms, a minaret, and guest quarters. Today part of the harem houses the Museum of Arts and Crafts, including displays of traditional suzani embroidery. A visit to the four unique minarets of the Chor Minor medresseh precedes a tour of the one of the oldest monuments of Bukhara, the mausoleum of Ismail Samoni, founder of the ancient Samanid Dynasty. The delicate terra-cotta brickwork seems to change its design with the movement of the sun and shadows of the day. 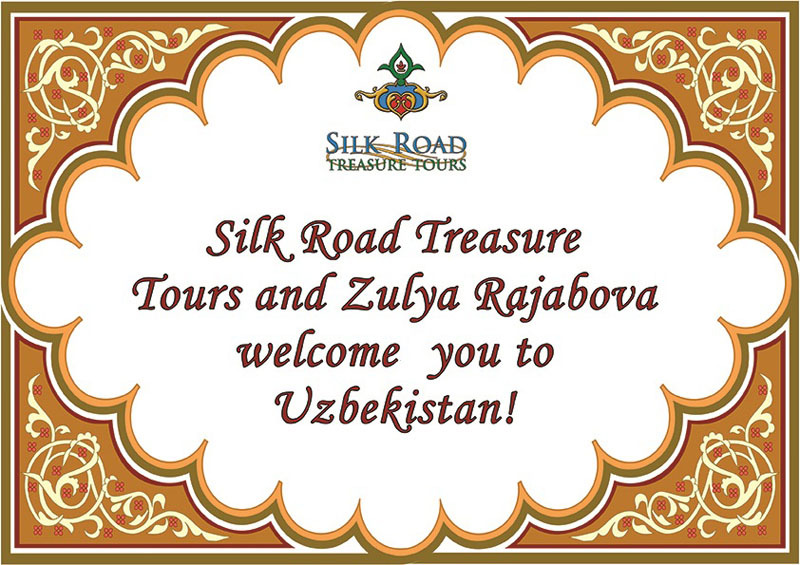 Today we travel our own Golden Road to Samarkand through the Silk Road villages and ancient towns of Uzbekistan. The small town of Vabkent is famous for its minaret, a double to the Kalyan minaret, built in the 12th century. The twisting staircase inside rises 40 feet into up to the fine archways of its lantern. We will stop along the way in Gijduvan, a center of traditional regional ceramics, to enjoy lunch and local Uzbek Hospitality at the family-owned ceramics works there. We'll arrive in Samarkand as the sun begins to set over the splendors of this legendary city. The cities of Samarkand, Bukhara and Khiva all hold treasures of UNESCO World Heritage sites behind sun-kissed adobe walls, soaring minarets and glittering turquoise domes. Registan Square in Samarkand, however, is one of the most recognized landmarks of the ancient world. 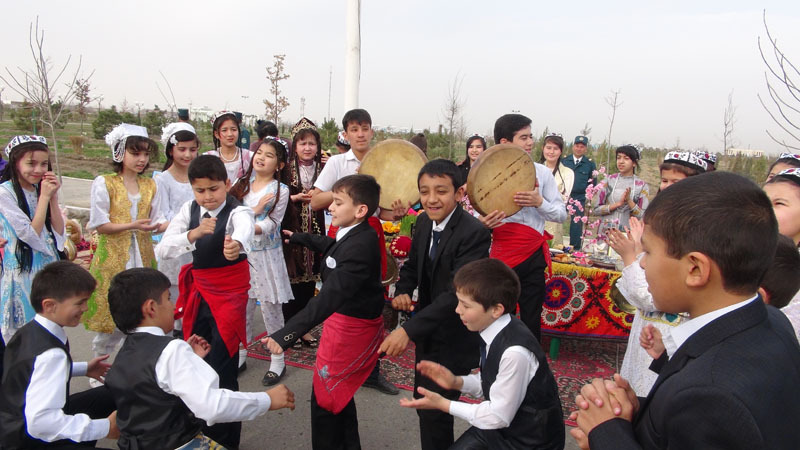 Surrounded on three sides by the majestic porticoes of its medressehs it's the site of world-class music festivals and national celebrations for Navruz, the Persian New Year in March when it seems that the whole country breaks out in celebration. We'll begin a full day of "monumental" exploration here in Registan Square, including the gloriously gilded Tilla-Kori. The Shah I Zinda Ensemble is the ancient necropolis, a veritable museum of tile artistry under the open sky. A series of 11 mausoleums line a medieval street, offering a first-hand, up-close lesson in Islamic decoration, near what was ancient Afrosiab. 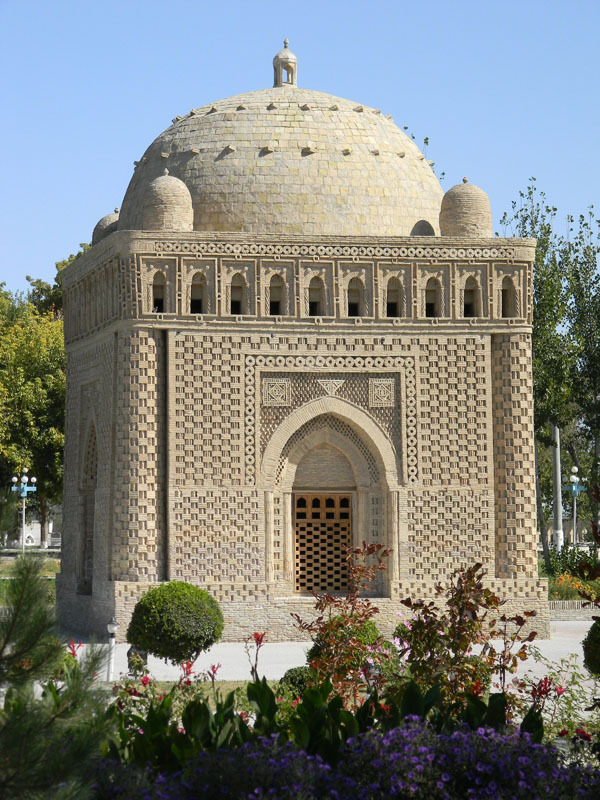 The nearby Bibi Khanum mosque was built by the ruler Tamerlane to honor his favorite wife and the scale is considerable, meant originally to outshine all of the mosques of the East. The splendid decoration of the Gur I Emir mausoleum, built for Tamerlane and his descendants competes with the best of the architectural gems of this city; glazed, gilded, and painted, incorporating tracery, marble, onyx, and semi-precious stones. 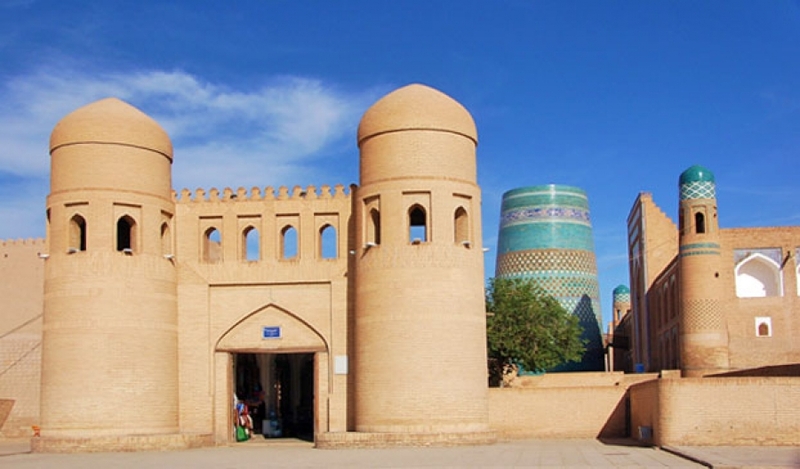 Situated along the route from China to the west, Samarkand was not only the capital of Tamerlane's empire, it was a center of trade for goods, culture and intellect. A visit to one of the oldest wineries of Uzbekistan will fortify us for an exploration of Samarkand's handicraft center, traditional bazaar, and a few sites just outside of the main city before we are whisked back to Tashkent on the new high speed Afrosyab train for our farewell dinner. Enjoy a champagne picnic between Bukhara and Samarkand, or a traditional Uzbek meal on an overnight adventure in an exotic luxury yurt. Visit one of the oldest wineries in the world or enjoy tasting smooth local vodkas – a legacy from the Soviet era. Tour the magnificent mosques, medressehs, medieval caravansarai with the graceful arched portals and glittering tile work of bygone eras. Once outside the cities, unusual and off-the-beaten-path destinations abound in Uzbekistan, like the cities of the fertile Fergana Valley. The flood plain of the Syr Darya River, this bowl-shaped valley sweeps down from the snow capped Tien Shan and Pamir mountain ranges. It's the agricultural heart of Uzbekistan, with picturesque plains, lush pastures and a rich handicraft tradition. Rishtan is the ceramic center here with its red clay and natural mineral glazes. Kohlkand has its medresseh, mosques and the royal palace of the last khan. 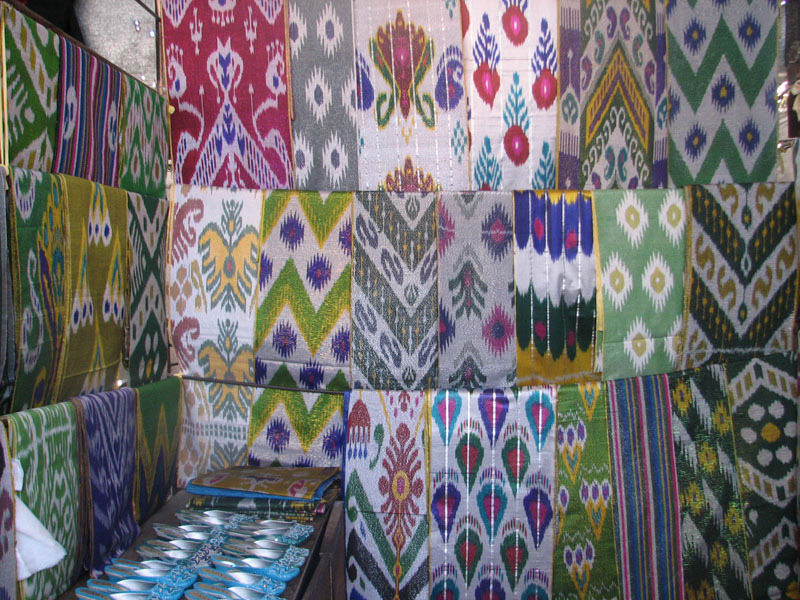 In Margilan, shop at the colorful local bazaar and tour the workshop of a silk master, where thread is prepared and and woven in the tradi¬tional patterns of the Fergana Valley. In the Kyzyl-kum desert there is an ancient fortress - Ayaz-Kala. Near that fortress is a lake - Ayaz, which rises like a mirage from the sands. On your camel join in the expeditions, then head back to hearty meal, a night sky full of stars and folk songs at the camp fire, before a peaceful night in a cozy traditional yurt. The Tien Shans hold some of the highest peaks in the world and just out of Tashkent, you can start your ascent. From 1 day in the Gulkam Canyon to 5 days across the peaks. Winter time? Then try heli-skiing on the abundant pristine powder here. Tashkent has it all, including an 18-hole golf course! The Tashkent Lakeside Golf Club is an International Championship Golf Course, the first one in Central Asia and just 15 minutes from the city center. There is also a tennis court, swimming pool, restaurant and hotel on site. Calum Macleod, Bradley Mayhew "Golden Road To Samarkand"